One of the good things about business trips is that I can usually find some time to go bird watching in a part of the world that I don’t normally visit. This can be as simple as carrying my binoculars on my way from the hotel to the meeting location, perhaps leaving the hotel a little early, to see what flies across my path. When I was in Dallas, Texas last week for the 2014 Spring Meeting of the American Chemical Society, I did just that. 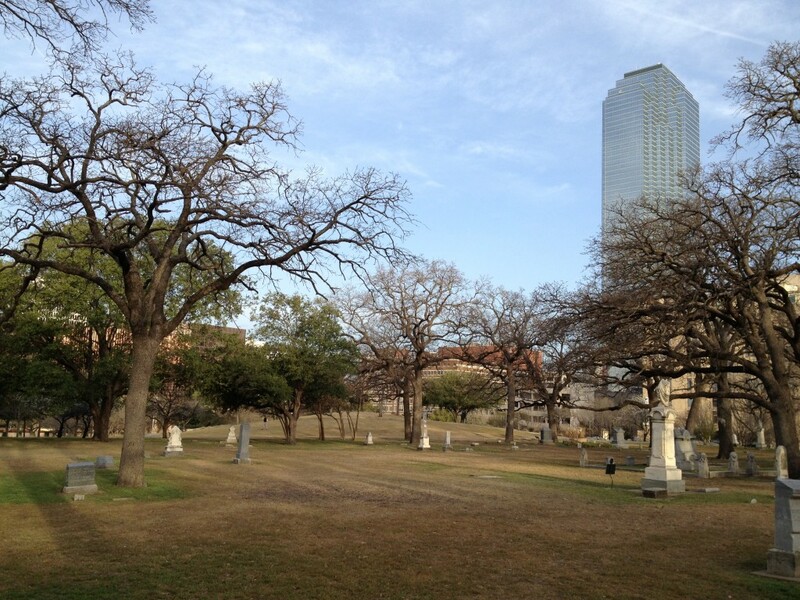 The walk from my hotel to the convention center led through the only substantial green area in downtown Dallas: Pioneer Park Cemetery. Over the course of five days, I got a total of eighteen different birds. Hardly spectacular, but not too shabby for a fairly small park in an urban area. The highlight was my first ever Bewick’s wren. Other nice finds were five species seen for the first time this year: great-tailed grackle, white-winged dove, eastern phoebe, ruby-crowned kinglet, and field sparrow. Pioneer Park Cemetary in front of the Dallas Convention Center, home of my first ever Bewick’s wren. For larger numbers and more diversity, I had to rent a car and escape the city confines. 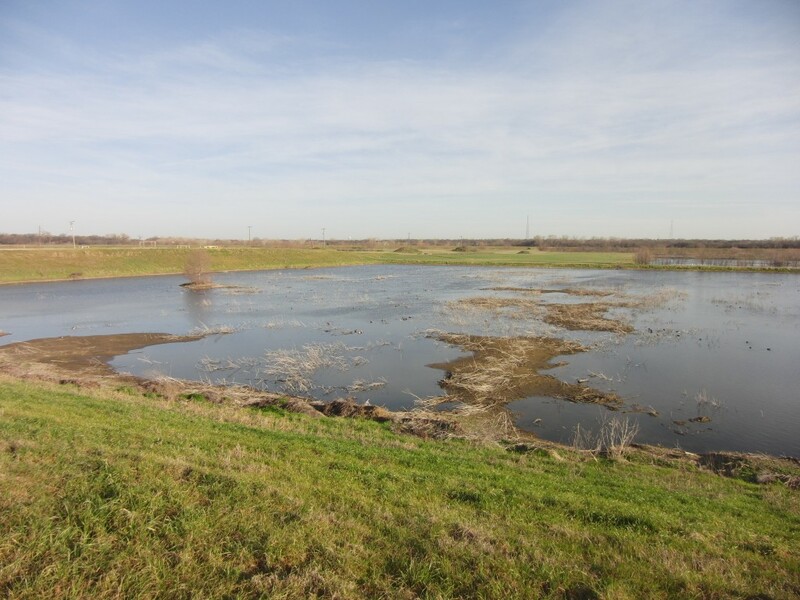 One of the top birding hotspots in the Dallas-Fort Worth area are the Village Creek Drying Beds in Arlington. They are part of a wastewater treatment facility, although I’ve read that they aren’t really used as such anymore. Regardless, the diverse habitat of ponds, marshes, mudflats, open fields, and forest edges makes Village Creek an attractive place for birds and other wildlife. I walked around for 3.5 hours in beautiful weather (sunny, yet cool because of the early hour), covering about 3.5 miles across the dikes and levees between the beds and ponds. The largest pond at Village Creek, with about a thousand ducks of various species scattered about. Northern shoveler, gadwall, American coot, and red-winged blackbird all numbered in the hundreds. I was excited to find no less than six new species at Village Creek. In order, they were green-winged teal, American pipit, cinnamon teal, Harris’s sparrow, rusty blackbird, and fox sparrow. Five more birds made their first appearance of the year for me: black vulture, northern pintail, Wilson’s snipe, savannah sparrow, and greater yellowlegs. 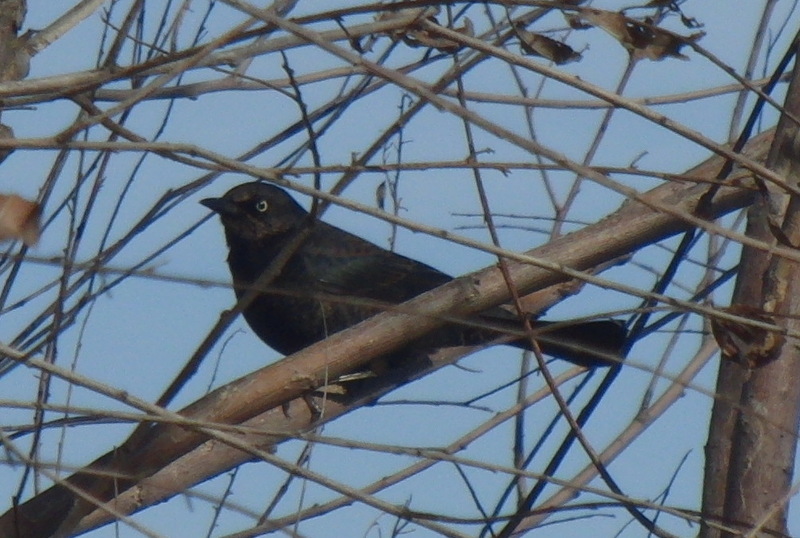 A rusty blackbird, one of six lifers at Village Creek. Another good place for birdwatching in the Dallas-Fort Worth area is White Rock Lake. At the southern end, the lake spills over a dam and runs down two sets of cascades. The waters here are popular with gulls, herons and egrets, cormorants, and various species of waterfowl. I was able to tick off one more life bird (Baird’s sandpiper) and one more year bird (Bonaparte’s gull). 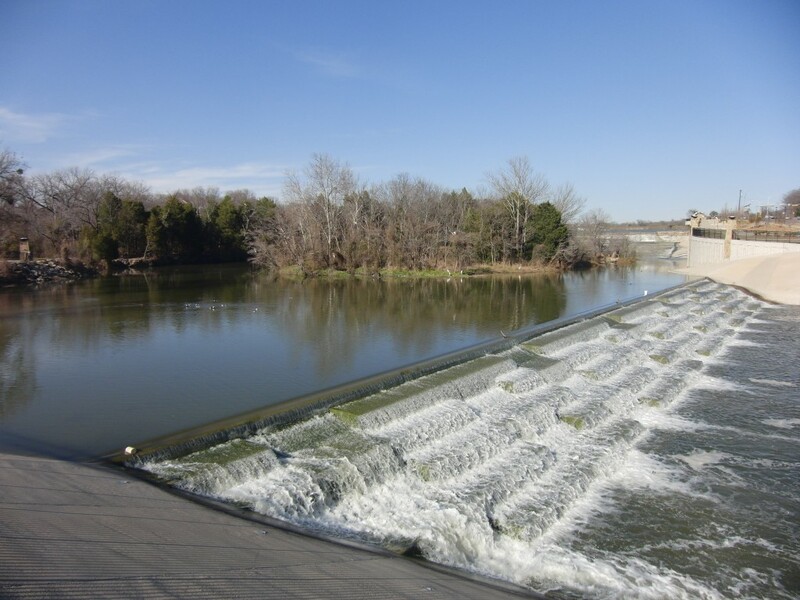 The spillway and cascades at White Rock Lake. 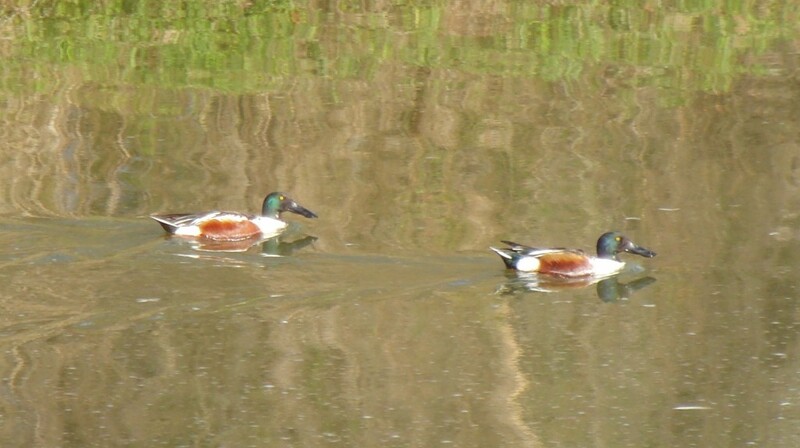 Two male northern shovelers at WRL. By the time the sun set, my checklist contained 68 different species. As far as I know, that’s the highest single-day total I’ve ever reached. My life list now stands at 310 different species worldwide and I’m up to 140 for this year alone.